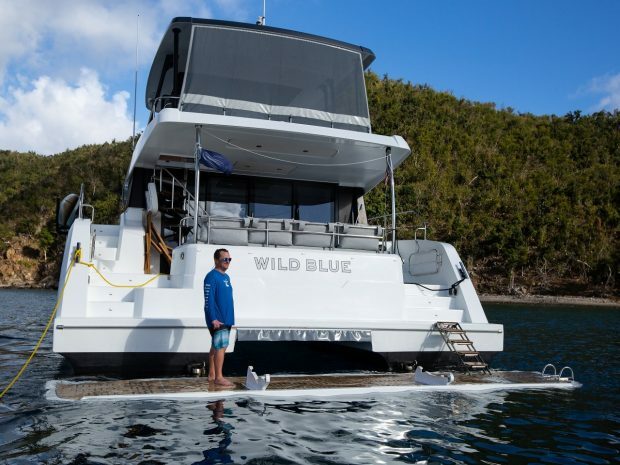 Length 48' | Beam 21'8" | Draft 4'4"
‘Wild Blue’ is a stunning new Fountaine Pajot MY44 powercat with an unprecedented amount of living space, sleek panoramic windows throughout the catamaran, granting spectacular 360-degree views and beautiful levels of natural light. 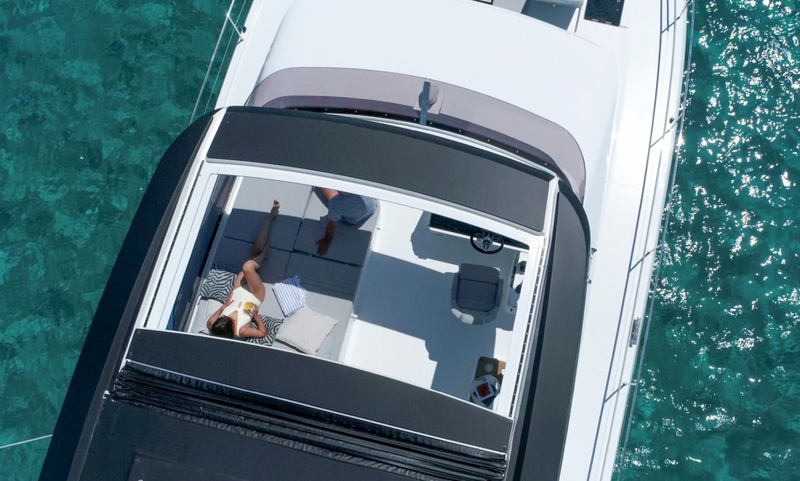 The MY44 has an unprecedented amount of living space, with a huge saloon, flybridge and decadent master suite. 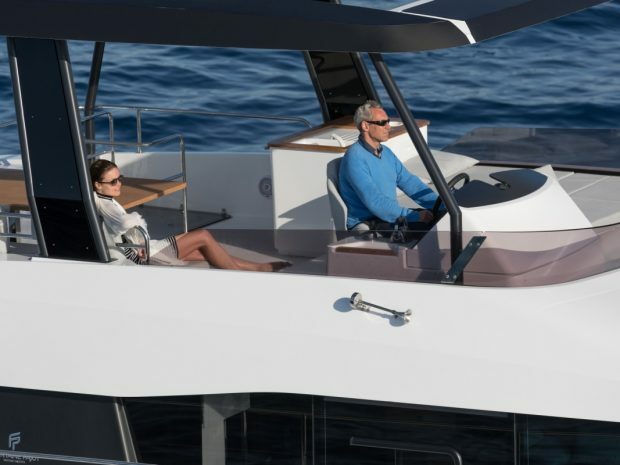 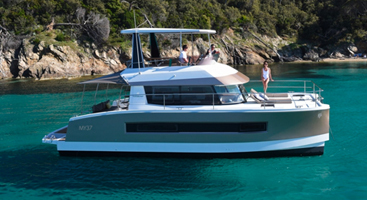 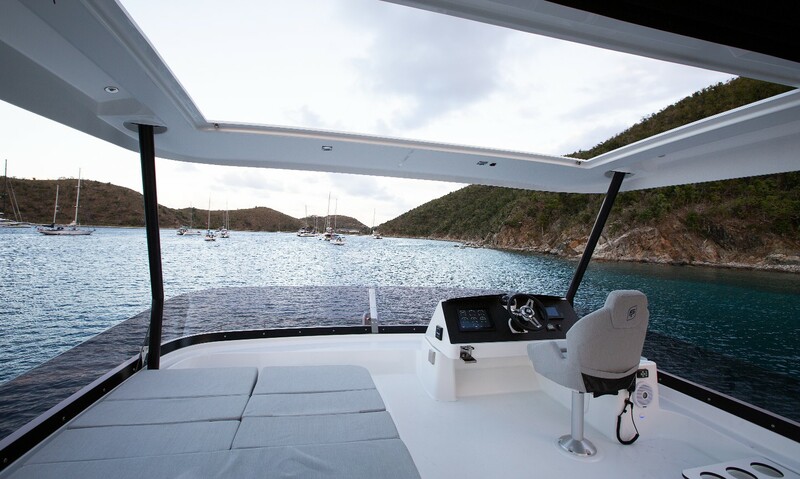 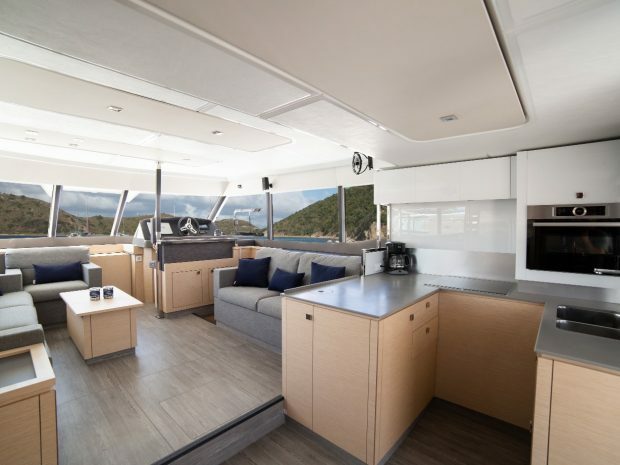 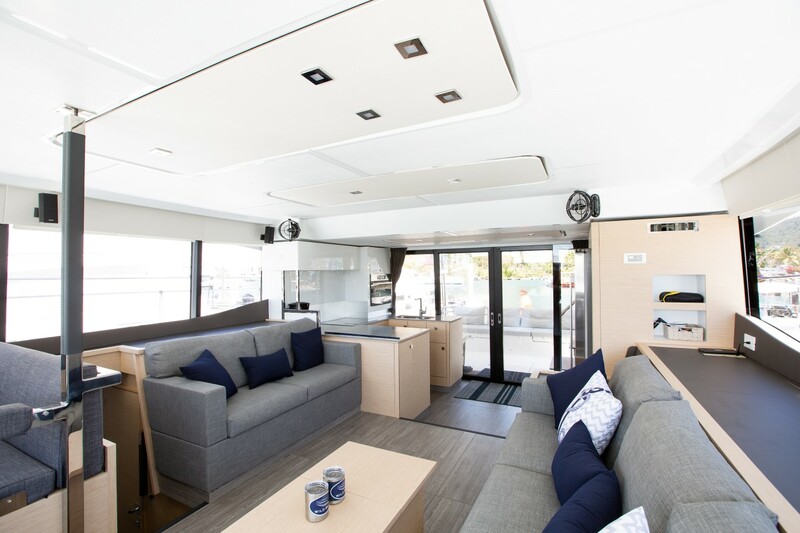 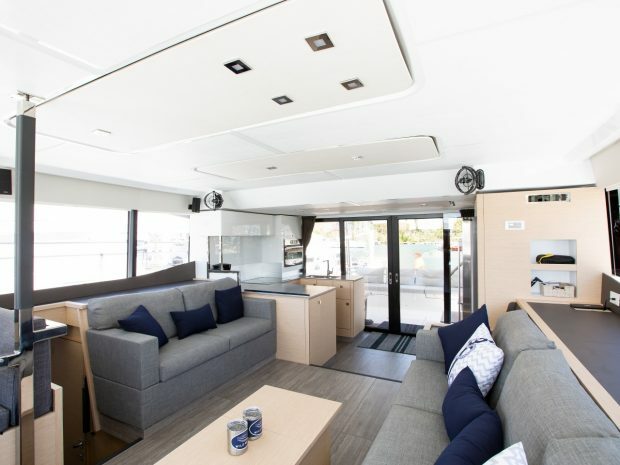 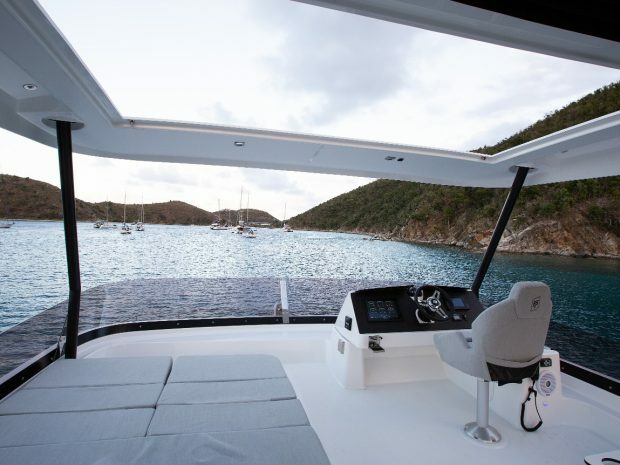 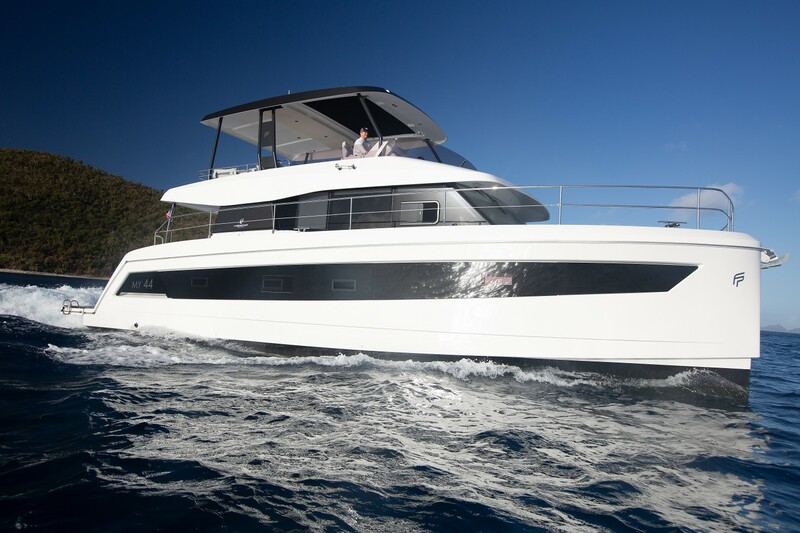 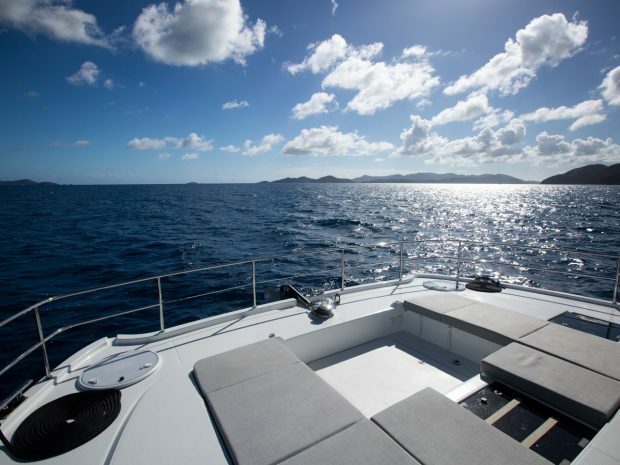 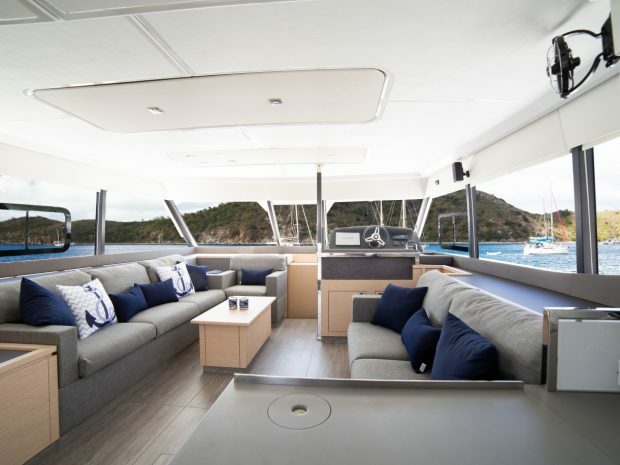 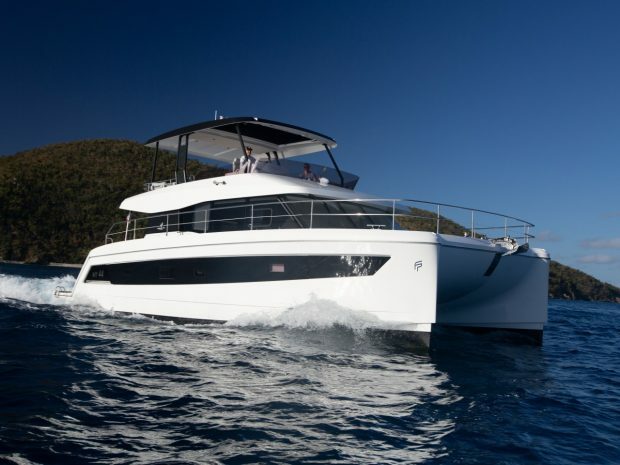 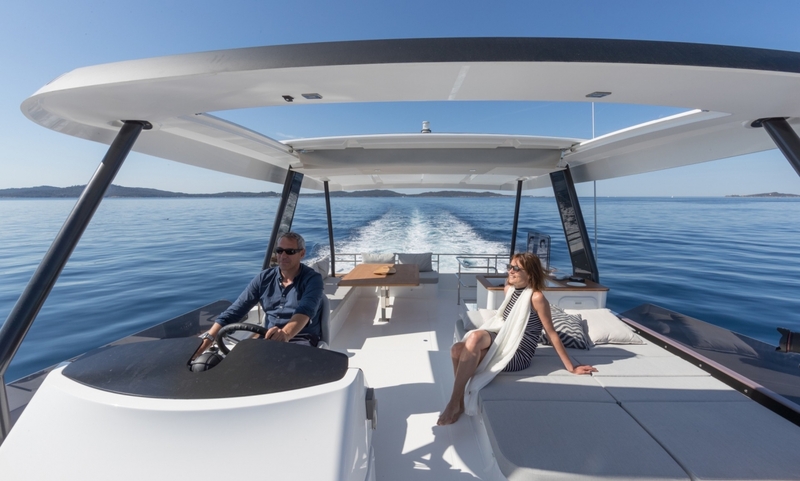 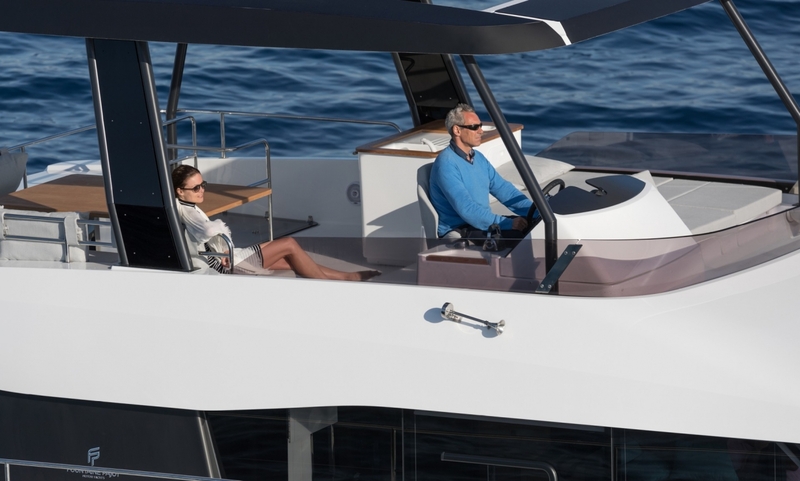 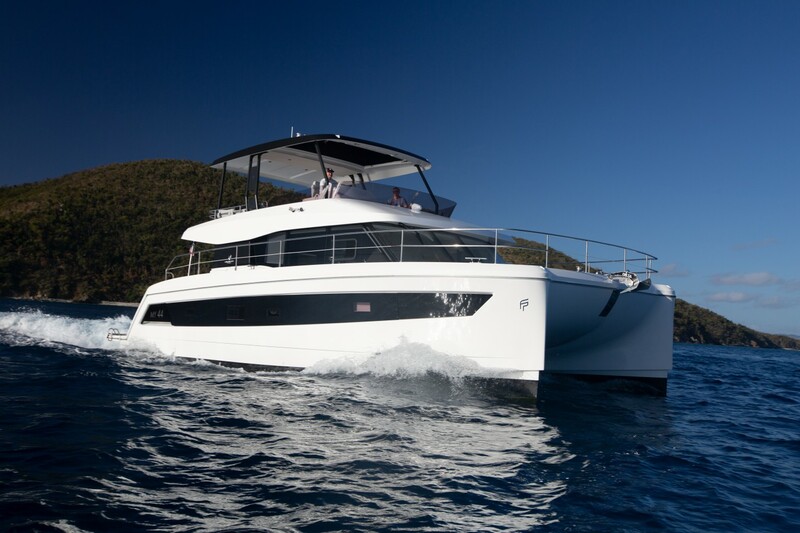 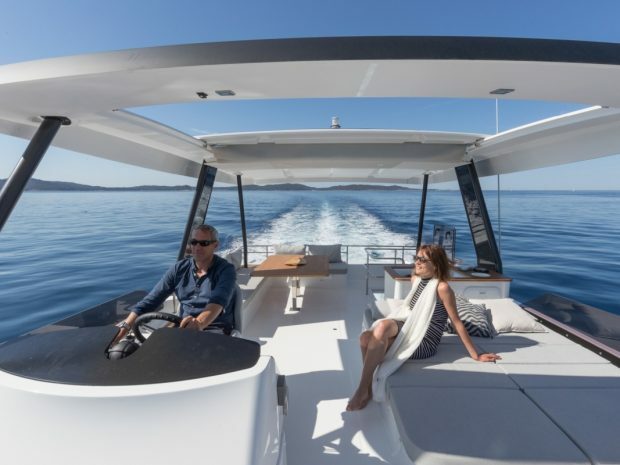 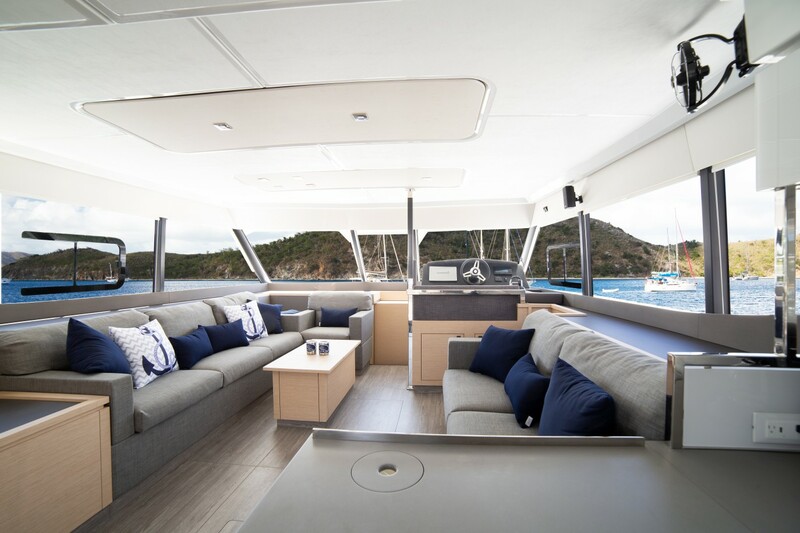 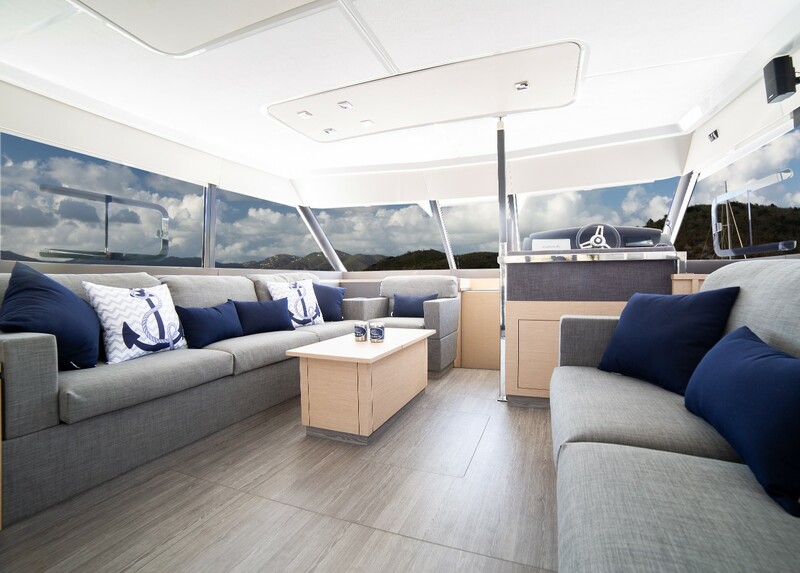 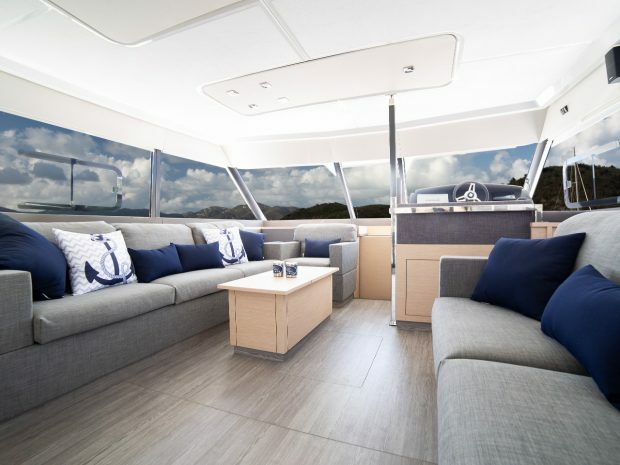 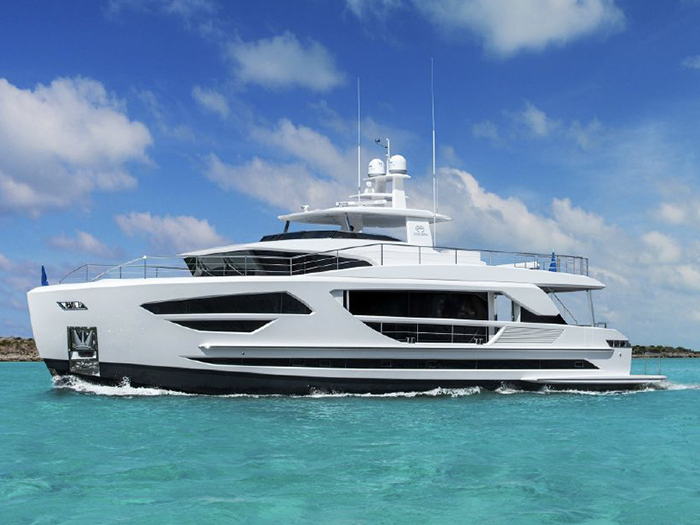 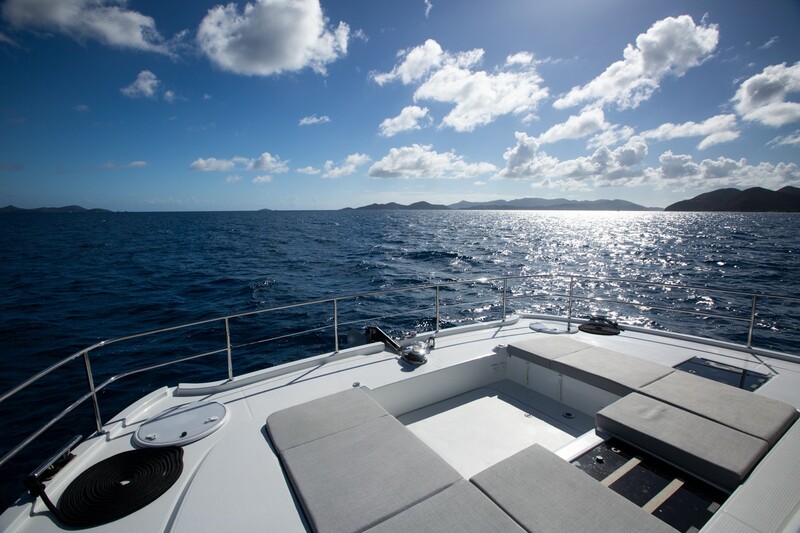 The MY44 model has been fitted with sleek panoramic windows throughout the catamaran, granting spectacular 360-degree views and beautiful levels of natural light. 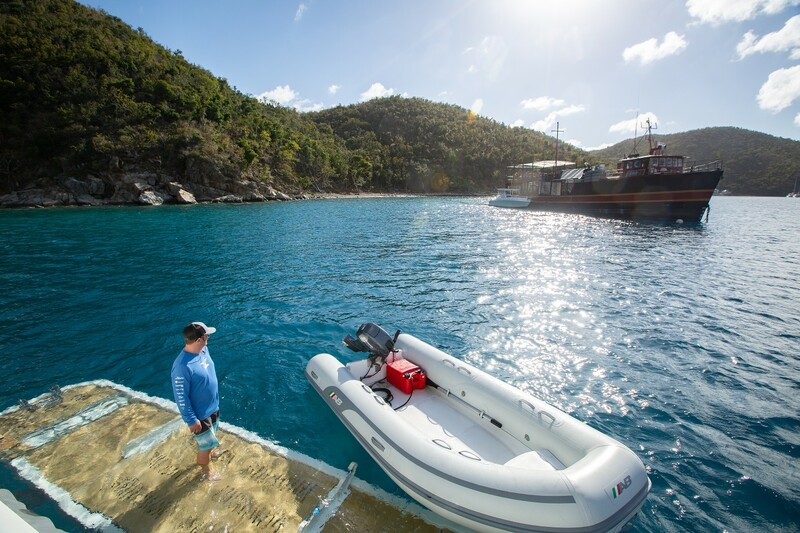 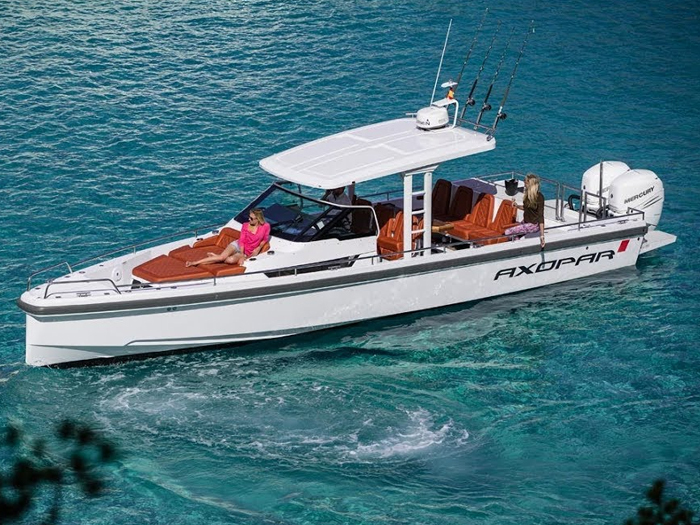 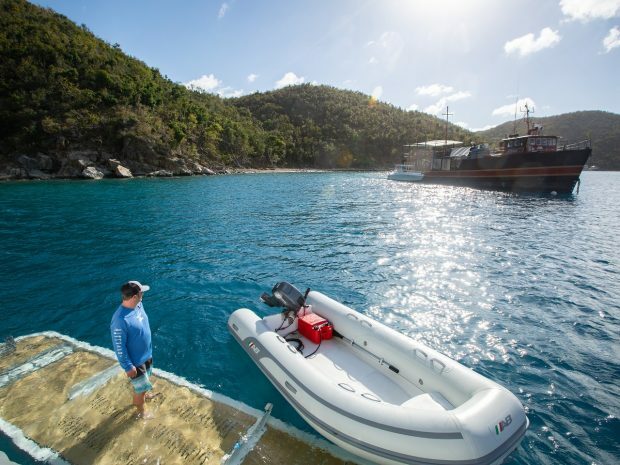 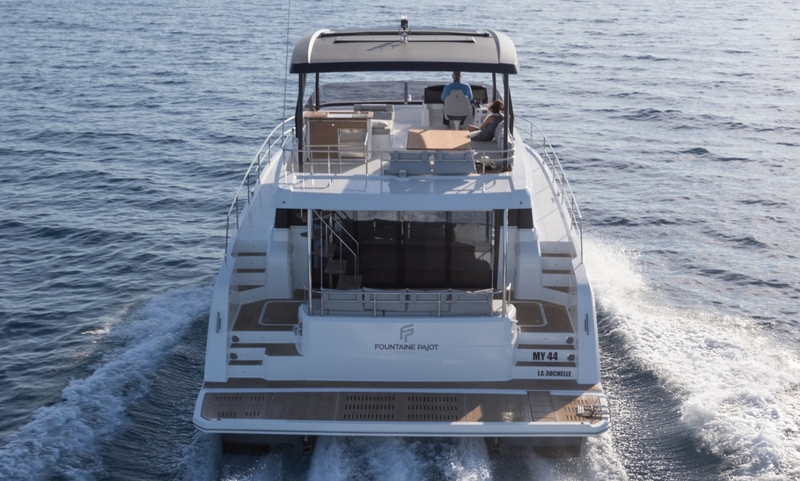 Featuring dynamic and sporty lines, the MY44 has semi-displacement hulls built specifically to deliver outstanding performance, fuel efficiency, and stability in all sea conditions. 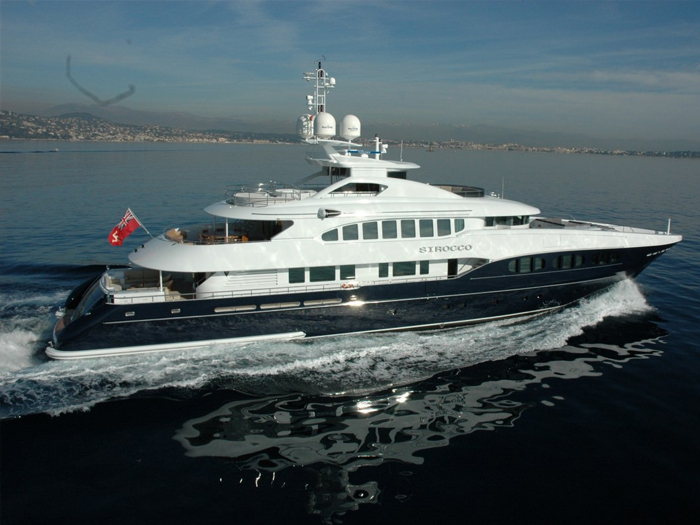 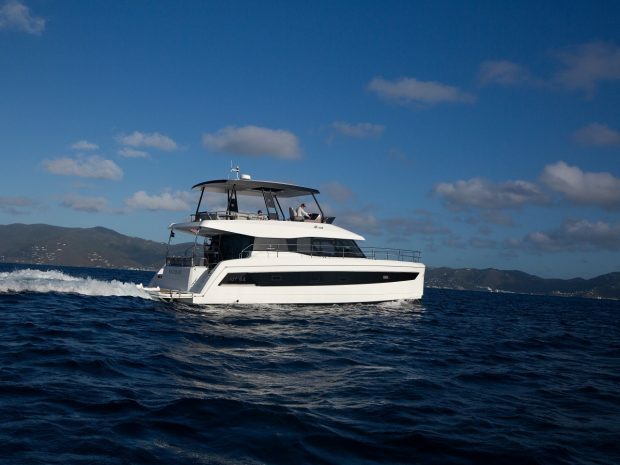 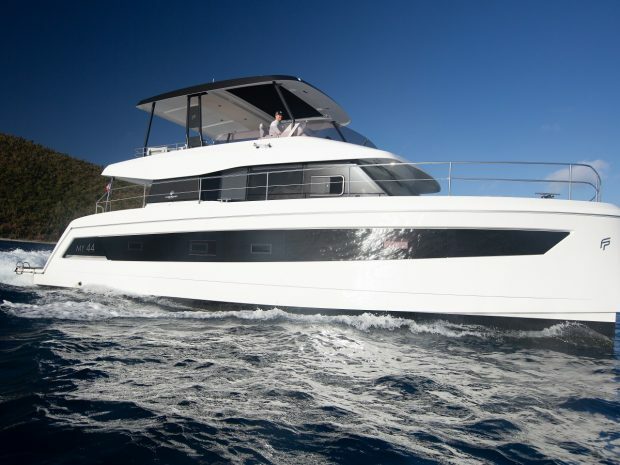 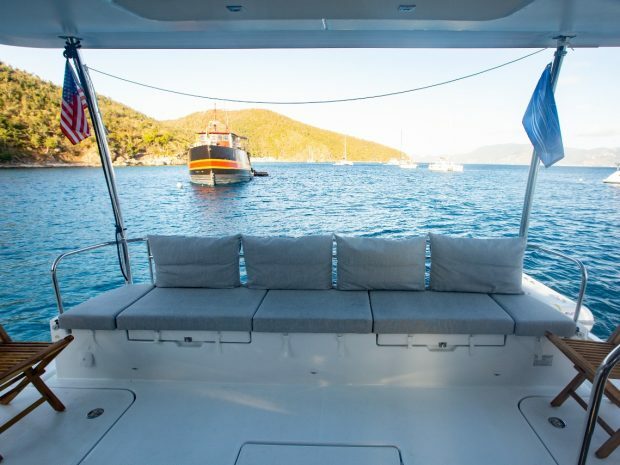 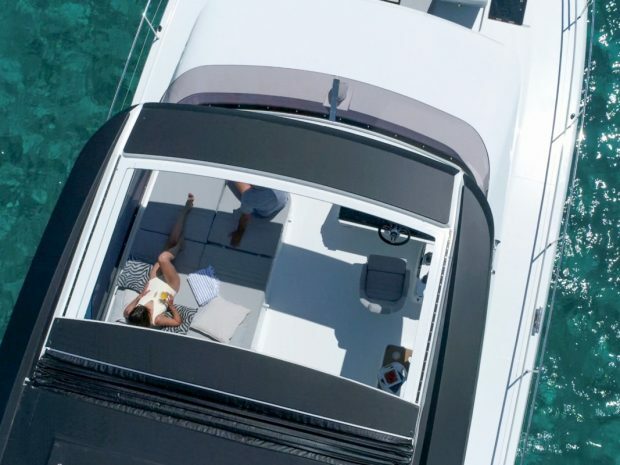 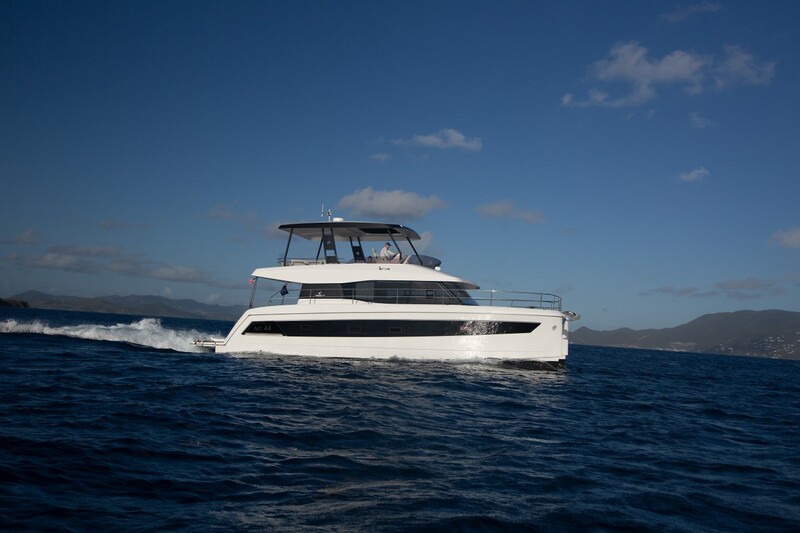 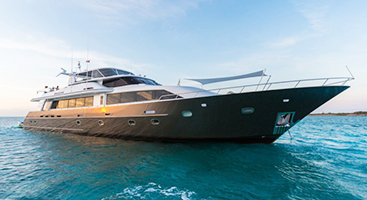 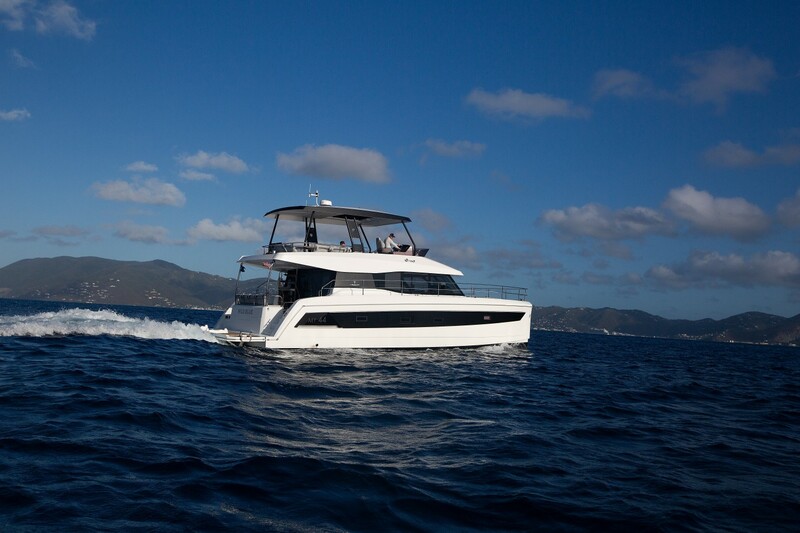 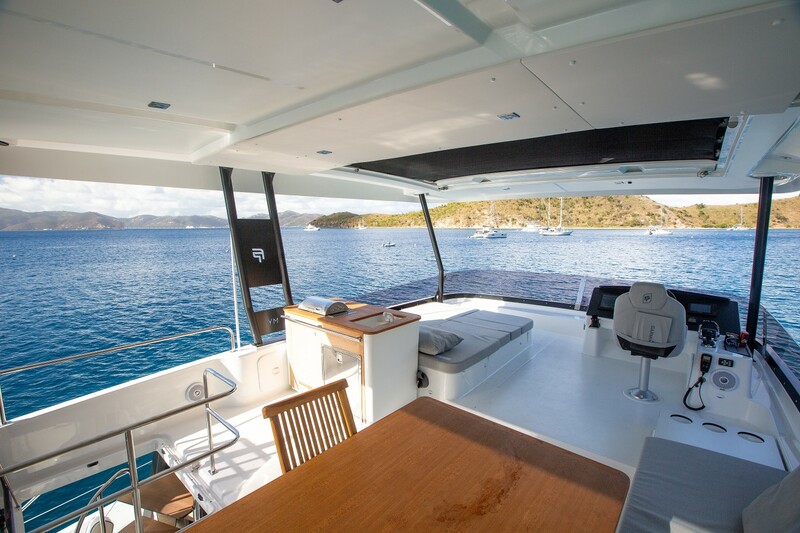 There is a choice of multiple relaxation and entertaining areas onboard, including a massive flybridge with lounges and dining table to truly enjoy the cruising experience, a capacious forward cockpit with sunlounges and cabin access, a raised contemporary saloon, and a generous cockpit that opens from the galley and boasts the option of a fixed or hydraulic aft swimming platform. 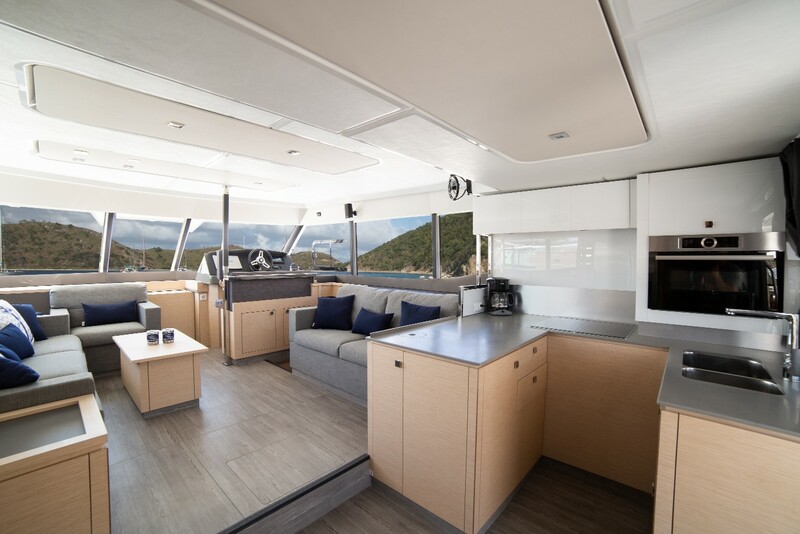 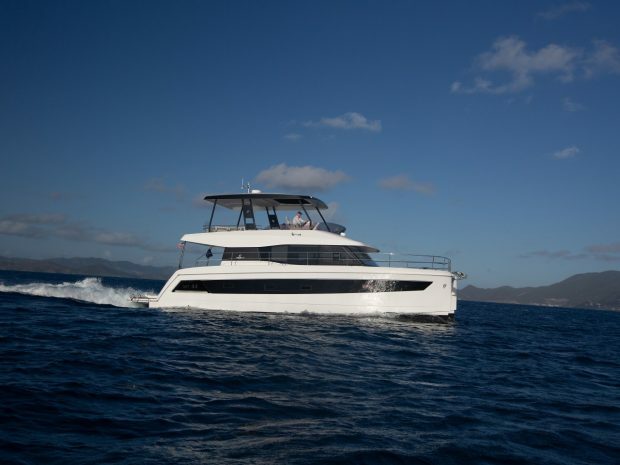 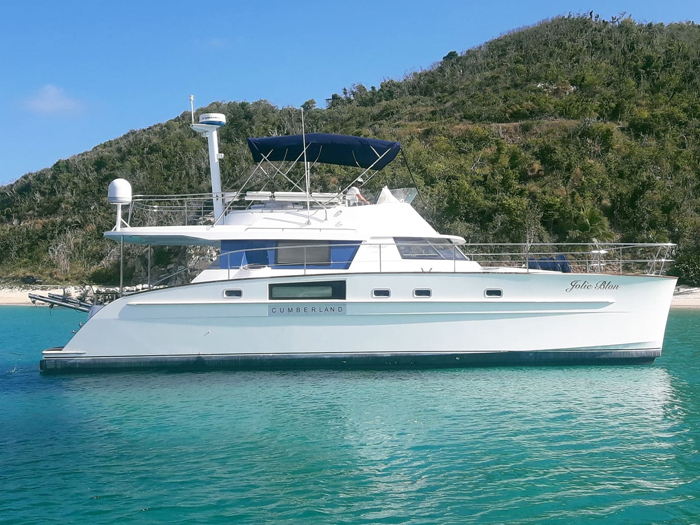 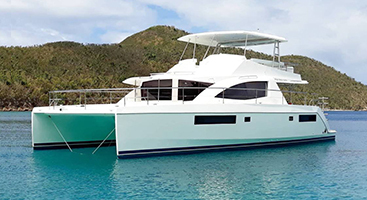 Designed for extended cruising adventures, the MY44 has a remarkable galley complete with full-sized refrigerator, stunning fittings and unprecedented amounts of storage. 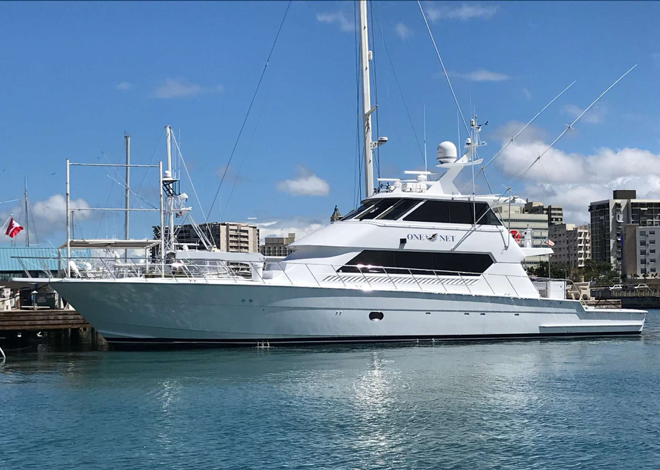 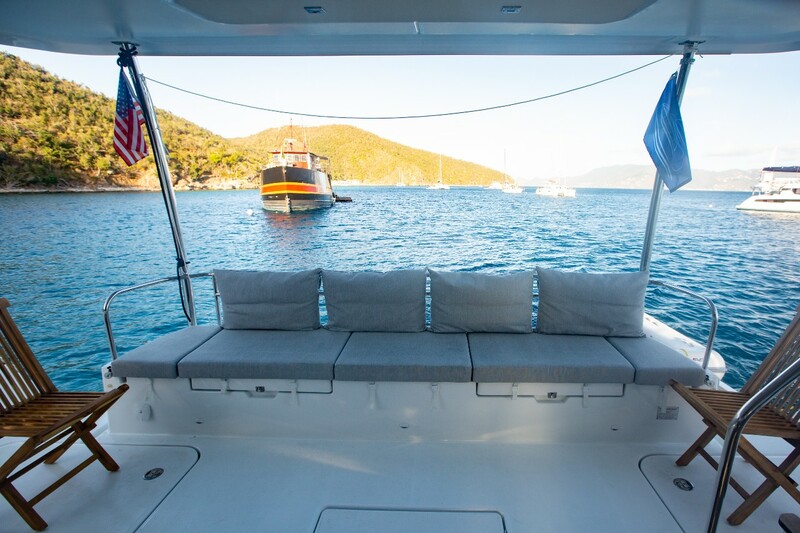 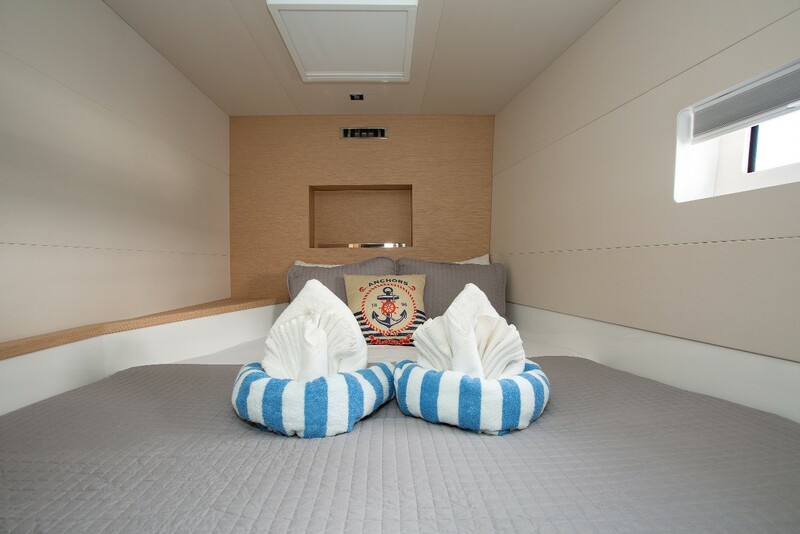 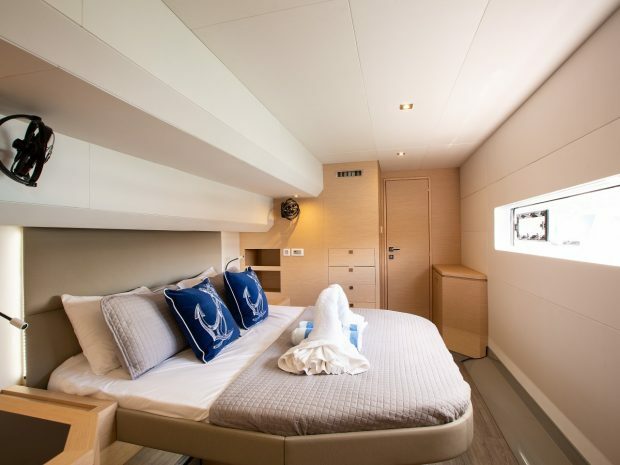 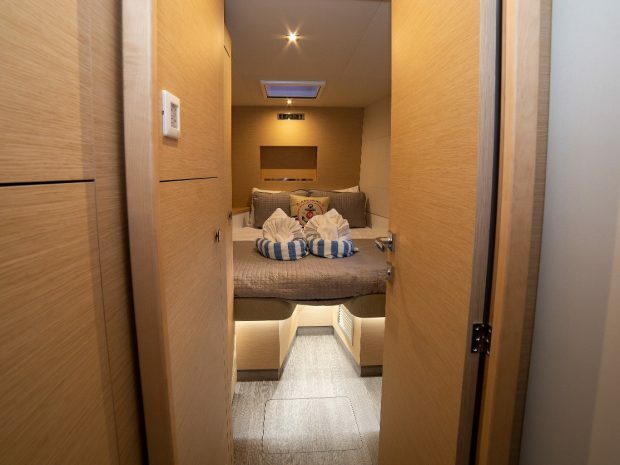 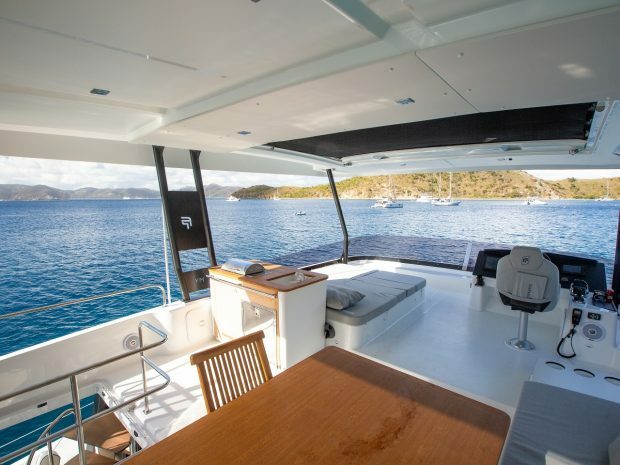 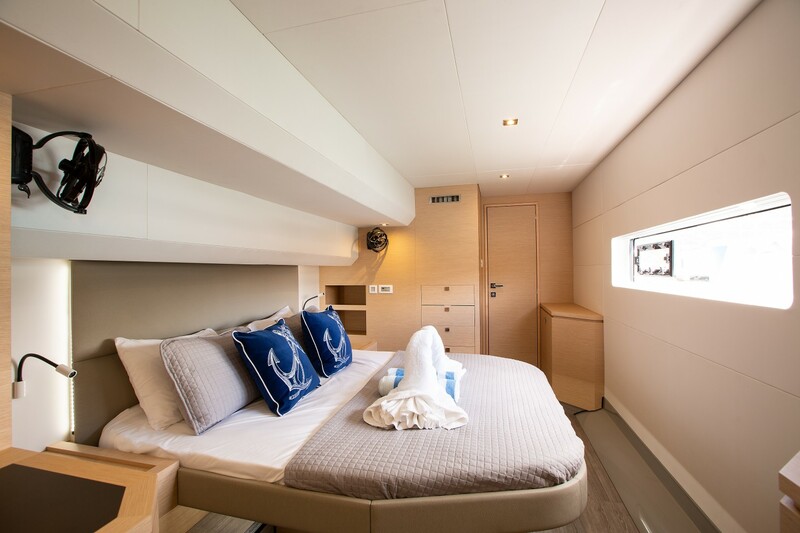 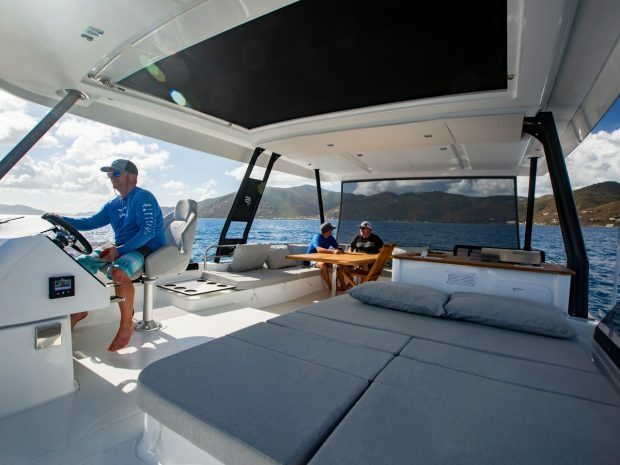 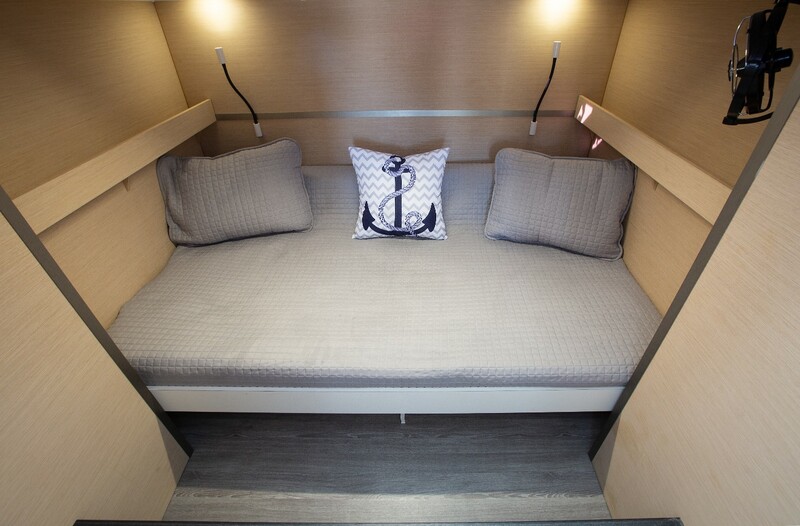 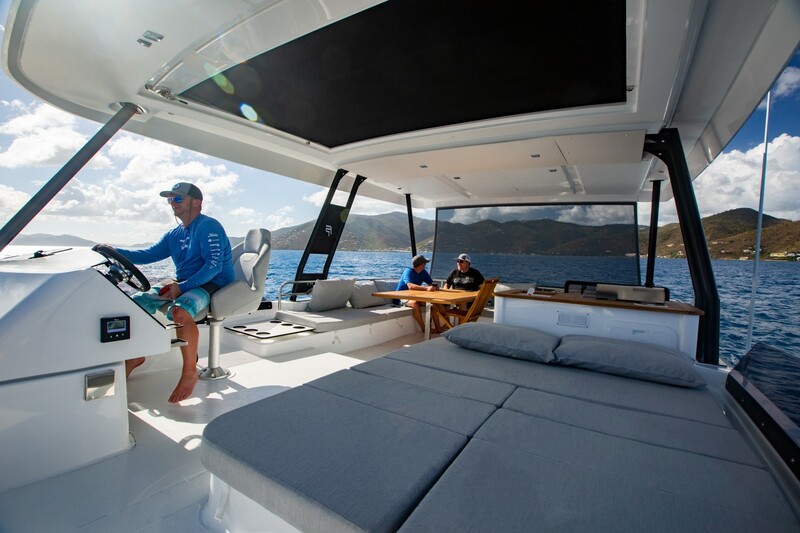 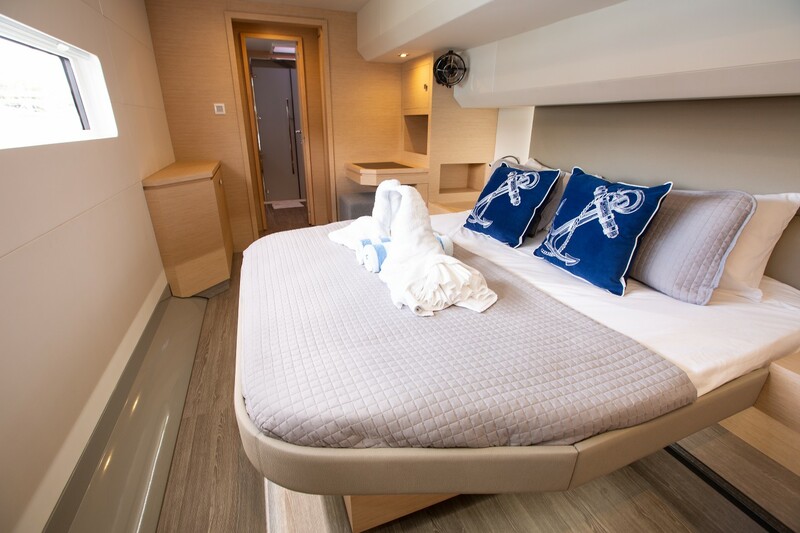 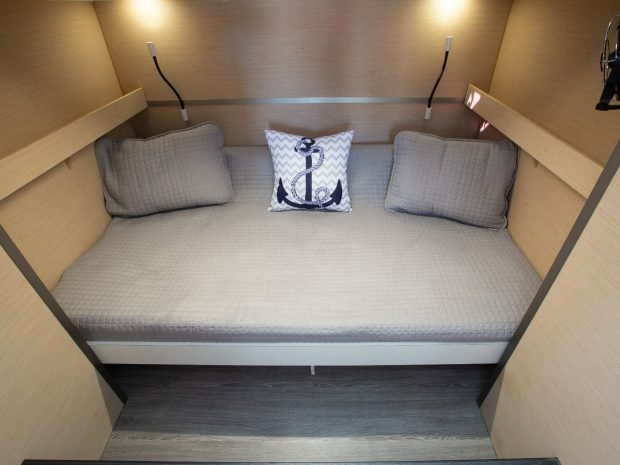 The catamaran has a revolutionary accommodation design with an expansive luxury master suite that affords beautiful views from its panoramic windows, and features a sea-facing island queen bed, optional wall-mounted television, ambient lighting, plus a sleek en-suite. 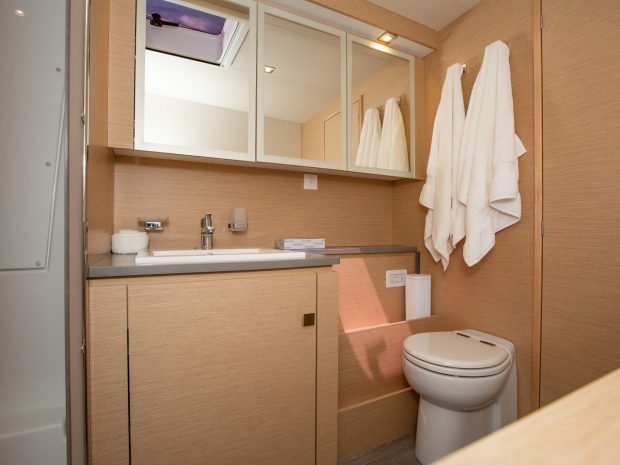 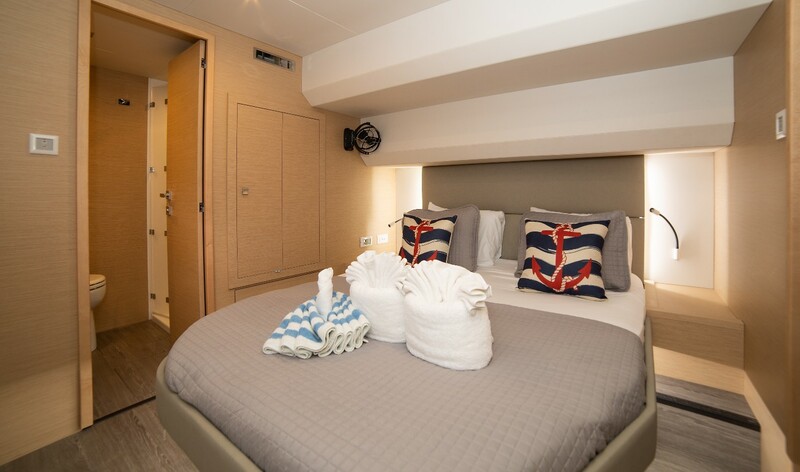 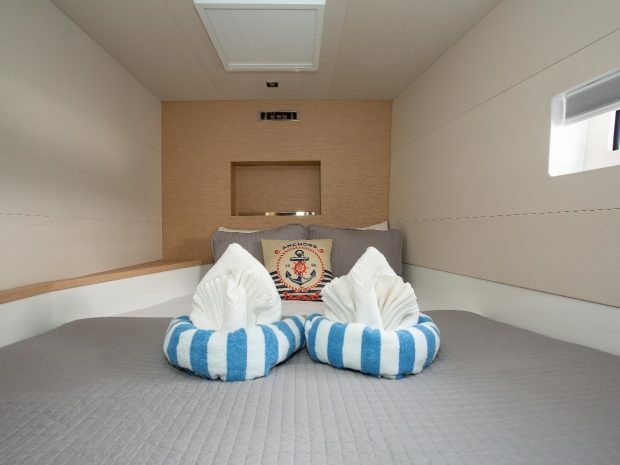 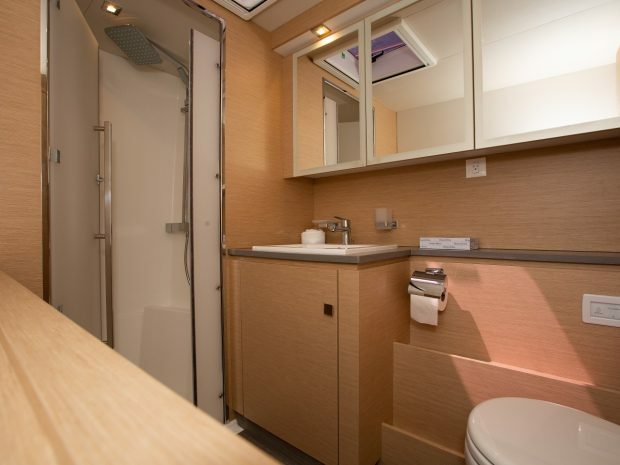 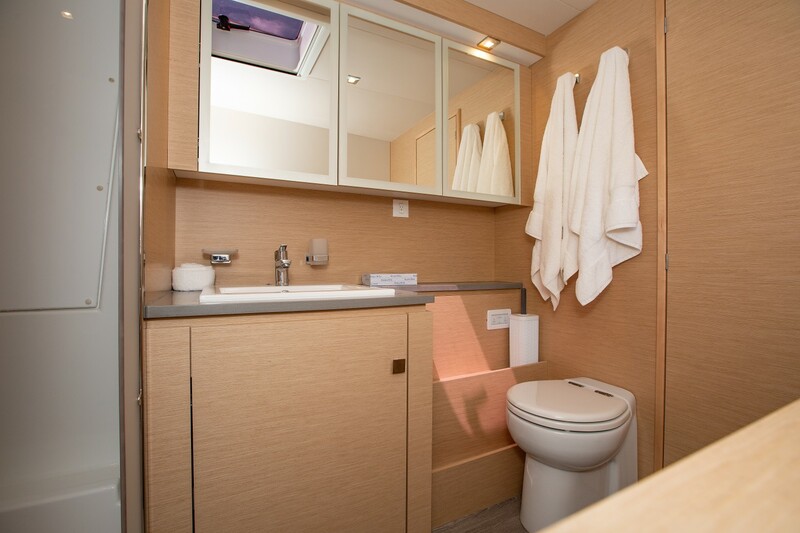 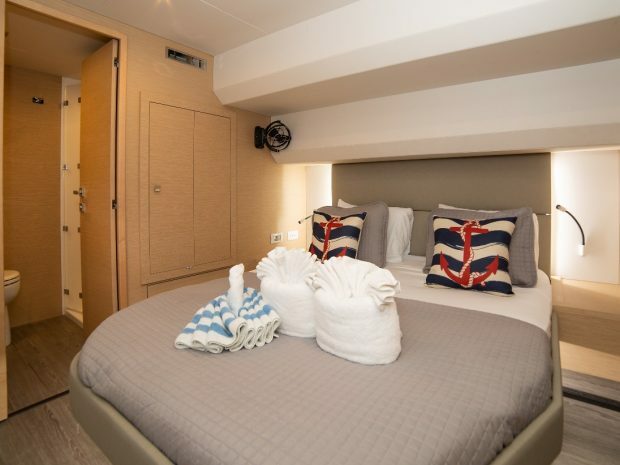 Friends can relax in designer comfort in the guest cabins, choosing from the VIP cabin or a double cabin set to starboard, both with exclusive en suite heads. 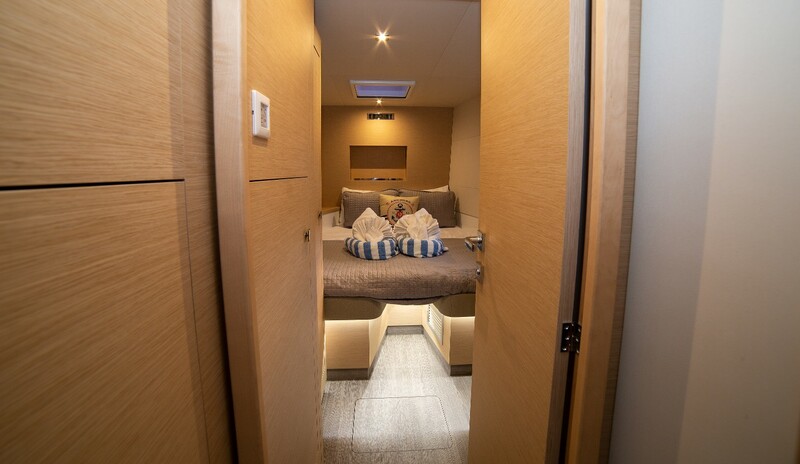 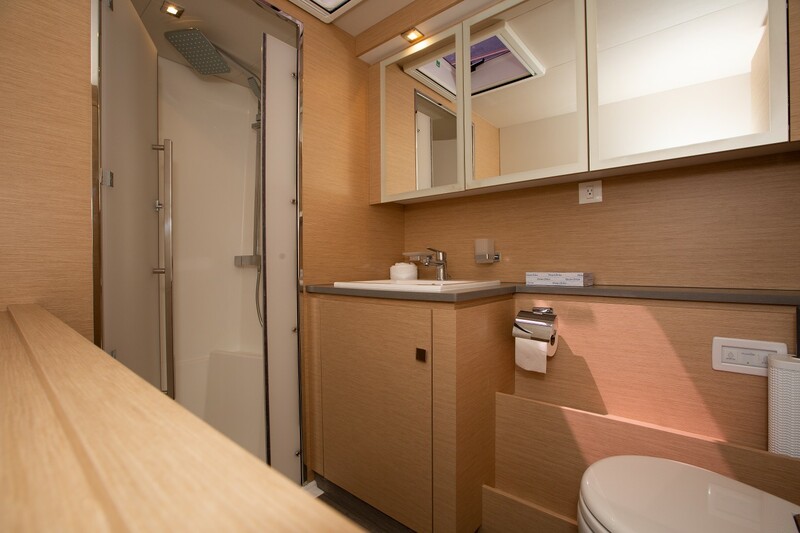 There is also a fourth, smaller double cabin interior forward that can be utilized as a guest or crew cabin. 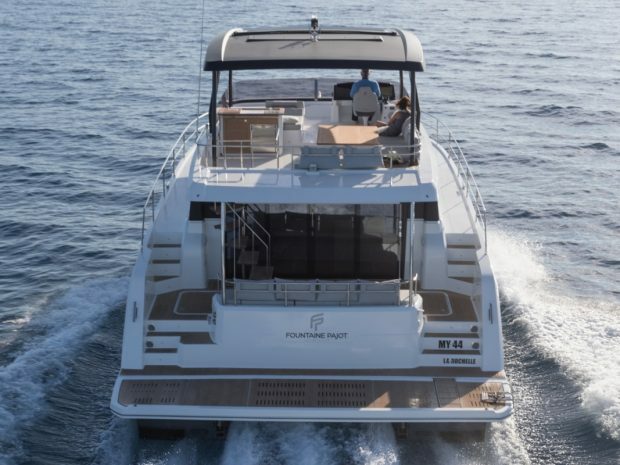 The MY44 has been designed to deliver extraordinary offshore performance and outstanding fuel economy, with upgraded Volvo IPS600 engines she can achieve a top speed of 30 knots! 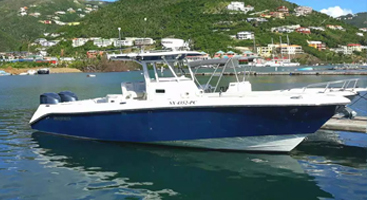 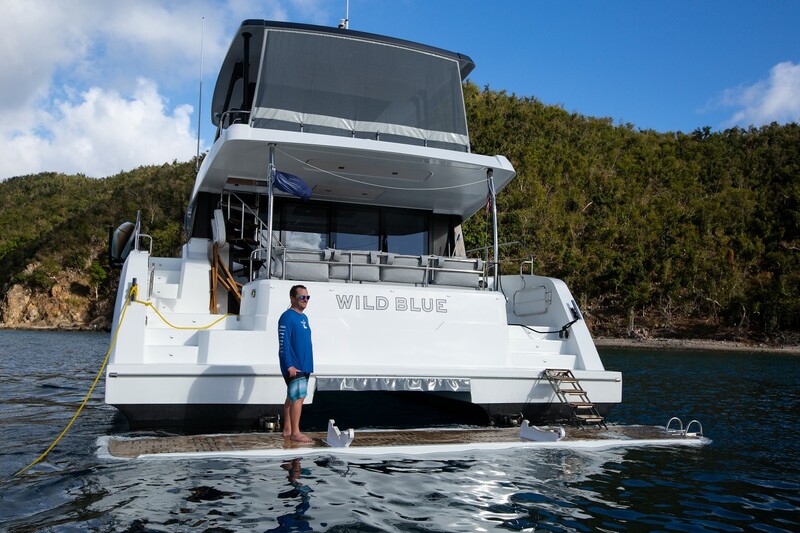 With than 500 gallons of fuel and nearly 300 gallons of water, Wild Blue is ideal for long-range cruising and can achieve top speeds of 30 knots with its optional IPS600 435HP engines.